Loxone offers a 360° solution and supports numerous technologies to give you a unique and unrivaled living experience. Thanks to our powerful software and the intelligent Miniserver architecture, other home automation systems can be easily and quickly integrated into your Loxone Smart Home. We enable the integration of many typical devices and systems found within the home, whether that be TVs, projectors, solar panels or HVAC systems, to name just a few. You can choose from a wide range of Extensions to create the home of your dreams. Our Miniserver has been designed for communication via LAN and thus has a LAN interface. 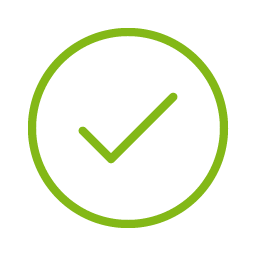 Through the network, you can integrate all your IP-enabled devices – from your Loxone Music Server to the Intercom, and even your photovoltaic system. 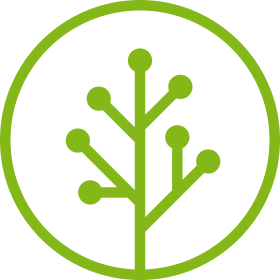 Take advantage of our “virtual inputs and outputs” for sending and receiving any HTTP commands. e.g. to the PC to automatically wake from standby when you enter your home office. Control your music system and amplifiers. Control your TV setup via the network. We have integrated ready-made templates in our Config software for many current entertainment and music systems to make integration stress free. Get data from your PV system. Many current inverter models have a LAN interface. For Fronius inverters, the process is even simpler. With the development of Loxone Tree we have achieved a key objective: to reduce the installation costs in a Loxone Smart Home by using up to 80% less wiring. 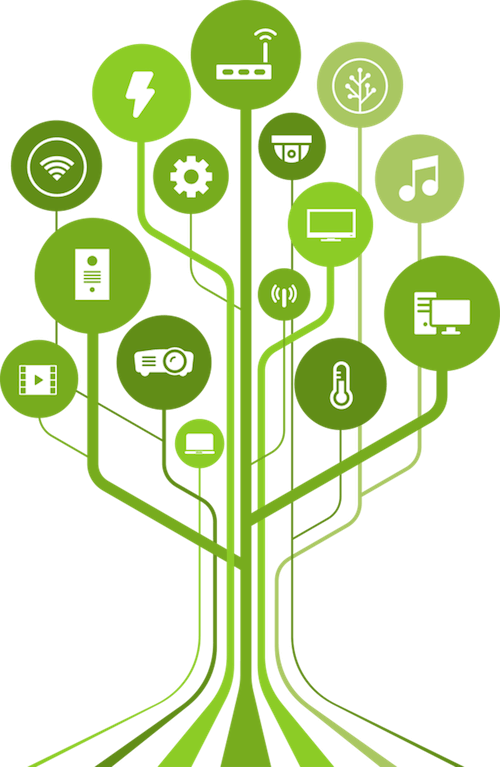 Loxone Tree heralds a new era of smart home technology. Designed specifically for the Loxone Smart Home, it’s a revolution that makes the integration of periphery devices into the smart home so much easier! Thanks to Loxone Air, you can expand the functionality of your home automation system without the need for cables and wires. 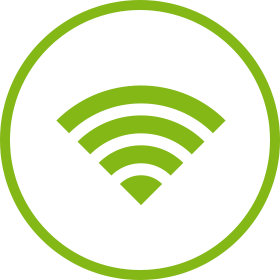 Loxone Air is our very own wireless technology, developed specifically for retrofitting home automation in properties where chasing walls is not a possibility. From your first inquiry to the finishing touches on your project, Loxone and your Loxone Partner will be with you all the way. Benefit from the experience that we have gained through the realization of tens of thousands of smart homes worldwide to ensure your project exceeds your expectations. Receive information about life in a Loxone Smart Home, including tips for energy saving, new products and software updates and more!